To foster the dissemination and publication of taxation materials. To promote tax education in areas such as curricula, education-related materials, graduate tax programs, and accreditation. To promote tax research in areas such as policy, law, planning, compliance, and economics. To encourage the interaction of tax academics, practitioners, and professional organizations. The 2020 Joint Midyear Meeting of the AIS and SET sections will be held in Orlando, Florida, at the Rosen Center on January 23-25, 2020. The meeting will be joint with another section of the AAA: the International Accounting Section. This meeting will include both separate and combined sessions, and the cross-section collaboration promises to offer new insights and inspirations for the coming decade. Pacific Asia Conference on Information Systems Are We Ready? Pacific Asia Conference on Information Systems (PACIS 2019) will be held at Xi’an, China, after the successful series of PACIS since 1993. PACIS is the main international Information Systems (IS) conference and the only AIS sponsored conference in the Pacific Asia Region. • Data Analytics, Control Systems, Business Risks for Organizational Systems and Technology Track at the 53rd Hawaii International Conference on Systems Sciences (http://hicss.hawaii.edu) in Jan.7-9, 2020. • Accounting Information Systems Section - HARC (https://manoa.hawaii.edu/harc/program/) in Jan.3-5, 2020. Researching Accounting as an Information Systems Discipline is the culmination of over two years of work by the Information Systems Section. The AIS research monograph is intended to fulfill the needs of three primary sets of stakeholders in the IS section. The first objective is to provide a source book for use in AIS doctoral seminars. This objective includes a desire to provide a valuable synthesis of the literature to facilitate broad coverage of the AIS domain within the short confines of semester- or quarter-length courses and to motivate doctoral students to pursue studies in AIS research. Why Join the Accounting Information Systems Section? Innovations in information technology are everywhere around us - and are central to the value adding processes of most organizations, large and small. And the world of accounting and auditing depends totally on information technology. 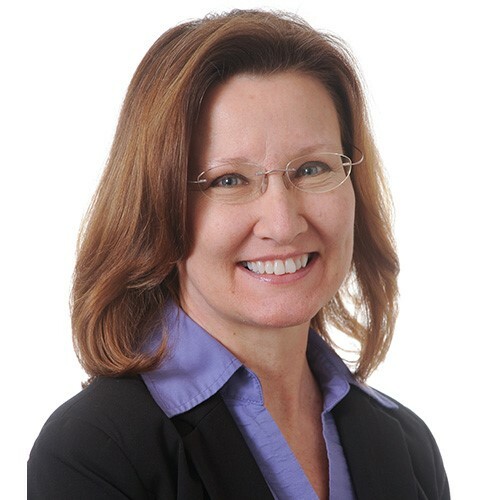 If you have an interest in understanding the implications of technology for accounting and auditing, you owe it to yourself to join the AIS section ofthe American Accounting Association. The mission of the AIS section is to create and disseminate knowledge of accounting information systems and all aspects of information technologies as they relate to accounting and auditing by promoting excellence in research, teaching, and practice. The AIS Section publishes the premier journal dedicated to accounting information systems research: Journal of Information Systems. The annual AIS mid-year meeting includes a New Scholar Consortium, cutting-edge CPE sessions, research and teaching sessions, panels, and opportunities to volunteer and network. We recognize member contributions through awards such as the Outstanding Dissertation Award and Notable Contribution to the AIS Literature Award. We acknowledge the importance of our discipline's relationship with practice. Don't forget to vote NOW in your Section Election. CLICK HERE to access the ballot via your member dashboard. I hope the spring term is going well for all of you. I would like to take this opportunity to say a few words about our Midyear Meeting in Newport Beach, CA, JISC 2018 in Durham, NC, and to give a preview of the events coming up for our section. We enjoyed a great Midyear Meeting in Newport Beach, CA! My sincerest gratitude to all our volunteers who helped make our meeting a great success; Dan O’Leary, meeting coordinator; Andrea Kelton, research paper chair; Hussein Issa, SET coordinator; Diane Janvrin, education paper chair and Chris Wolfe, NSC coordinator. Also, the AAA staff and the Duke hotel staff were top notch. A highlight of the conference is always the awards - congratulations to all of our award winners - our website will soon be updated to reflect your achievements! Your innovative and interesting work is inspiring to all the members of the AIS section. Thanks to the IMA for their generous support of the case award. Also a special thanks to KPMG, they have generously supported our conference for many years now and I greatly appreciate their continued interest and support. In March, JISC 2018 was a huge success. Thanks to our sponsor, the AICPA, the event was held in Durham, NC at their offices. I was extremely impressed with all the hard work of Pamela Schmidt, conference chair and co-editor; Kimberly Church, assistant chair and Graham Gal, coeditor. I cannot say enough about all the attention to detail from the website to the quality of speakers and to the papers presented. They truly put together an excellent program with participants from both practice and academia. The feedback was very positive and I encourage each of you to read the conference report contained in this newsletter. I look forward to the special conference edition of JIS. The AIS Section has another important event coming up soon - the AIS Bootcamp at the offices of PwC in Minneapolis, MN on May 22. Many thanks to PwC for sponsoring the event and to the education committee for organizing the bootcamp. Thanks to Diane Janvrin, Joy Gray, Kimberly Church and Lorraine Lee. I am happy to announce that there is great interest in the bootcamp - registration is full - however if you wish to be placed on the waitlist please see the conference link in this newsletter. 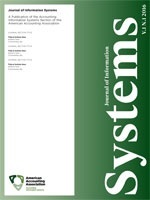 The Journal of Information Systems (JIS) is the academic journal of the Accounting Information Systems (AIS) Section of the American Accounting Association. Its goal is to support, promote, and advance Accounting Information Systems knowledge. The primary criterion for publication in JIS is contribution to the accounting information systems (AIS), accounting and auditing domains by the application or understanding of information technology theory and practice.